What an absolutely gorgeous weekend past one turned out to be. I hope y’all got a chance to enjoy it. The season and the weather combined to create the need to undertake some yard work. Mowing the lawn, for me, provides time to contemplate and turn ideas and concepts over in my head. This week-end I though about two words that get tossed around a whole lot – equity and diversity. It is no secret how much my family loves Tusculum Elementary School. Over the last 4 years the school and it’s teachers have had an immeasurable effect upon my family, most of it positive. When I first dropped my daughter of for kindergarten 4 years ago I thought I had a firm grasp on the definition of equity and diversity. I could not have been more wrong. Former Eakin ES principal Tim Drinkwine used to make the claim that his school was among the most diverse in the state. I chortled when I heard that and challenged him, “Seriously, the school in the middle of a wealthy predominately white neighborhood boarded by Vanderbilt University has greater diversity than my school in South Nashville with kids from over a 100 different countries. Not likely.” He was right. I was wrong. Tusculum does kids from over 100 different countries, however the majority of them come from other countries, live in impoverished households, and are being raised by parents with limited formal education. Eakin’s kids come from a nearly equal number of countries but their families fall all over the economic map and they have parents with varying degrees of formal education. In essence, Tusculum’s ethnically diverse study body is actually more homogenous than it appears. This may seem like splitting hairs, but I’ve come to realize how important that distinction is. In the past, I’ve made the argument, that if wealthier parents would just send their kids to the local neighborhood schools the schools would become more diverse and everybody would benefit. I still believe that but I’ve come to realize it’s a little more complex than that. Adding school choice to the mix makes things even more complex. In fact, I’m not sure that you can have choice without sacrificing some equity and diversity. At Tusculum my kids are in the minority and as such the majority of programing is not directed towards them. It shouldn’t be a surprise to anyone that since TES has such a large population of ELL kids and kid’s from poverty, that many kids are reading below grade level thereby creating an inherent need to intensify the focus on getting those kids reading. Couple this inherent need with an added focus by both the district and the state and the pressure to perform mounts. To even have a shot at meeting the mandates put forth by both the district, and the state, sacrifices have to be made. Those meme’s touting the glory of increased per pupil expenditures are a little misleading. Despite what they would like you to believe, there is no back pack full of cash were a student can pull out a few bucks and order a theater class, 2 advanced math classes, an interventionist, and a counselor. It’s more like each kid walks into a school with a back pack full of cash and then dumps it at the feet of the principal along with all the other kid’s back packs of cash. The principal then takes the collective money and sends some of it to central office while trying to utilize the rest to do the most good. Hence the need for sacrifices. Those sacrifices often come in the areas of the arts, science, and social studies. Even when those areas are covered, if the majority of kids are reading below grade level, how in-depth can lessons in those areas actually get? That’s one of the reason’s I’ve become more of a believer in dual language instruction, but that’s another subject for another day. It’s nobody’s fault. It’s just the nature of the beast created by the over focus on accountability. If you constantly remind people that the only true measurement of learning is how kids perform on tests, and then you add in a bunch of kids that are starting behind the curve, it only goes to reason that anything not contributing to the reaching of that mandate becomes expendable. Unfortunately some of those things that get sacrificed are things that are needed in order to meet the needs of those kids not in the majority. In talking equity, a great deal attention gets paid to the “achievement gap”, the difference in test scores between low scoring kids high scoring kids. I’ve had an executive director at MNPS tell me that ensuring high scoring kids make modest gains while low scoring kids make large gains is how you close the achievement gap. Besides fundamentally disagreeing with that strategy, I have to wonder how that aligns with the concept of equity. We have a tendency to evaluate schools predominately on educational factors, but I’d argue that social factors are every bit as important. Socially the experience my children have at TES is vastly different from one they would have had at, say, Eakin. For example, while my daughter has a slew of friends, in 4 years she has been to one birthday party and only a handful of playdates. I’m not casting blame at anyone for this, but the reality is that no matter how open you are, culture and language barriers exist. There is a tremendous amount of benefits that she has reaped socially from her peers, but there are things she has missed out on as well. I’m not going to lie, and say that I don’t wonder at times if I have not done her a disservice by placing her in school were those experience were not readily available. When schools communicate with families they employ methods geared towards reaching the majority of families. When you fall outside that majority, you don’t always receive those messages. It is certainly not intentional, nor deliberate, but it is reality. Case in point, this weekend TES students and their families participated in the Nashville Marathon’s kid’s run. We’ve attended in the past and it’s an amazing time. This weekend I was filled with pride looking at the pictures, and hearing the stories, of the families that attended. But I also had pangs of sadness because we missed it. We missed because we never knew it was happening, and therefore never had the choice to attend. They same holds true for the school’s family engagement meetings. I’ve missed all but one of them because I continually don’t see the sign on the door adverting the meeting until it’s passed. It makes me wonder how many other events at the school I’ve missed. How many other opportunities to interact with other families have passed without my knowledge. Right now I’m sure some of you are nodding your head and saying, “Welcome to our world. Where were you when the shoe was on the other foot?” I’m sure that for our Black and Hispanic families the experiences that I’m relaying are all too familiar, and have long been in need of correction. It is often overlooked that even if 80% of a school’s kids live in poverty, there are still 20% who don’t. What happens with that 20% doesn’t get nearly the attention it should. If a choice is available, can you fault a family if they choose to go elsewhere? If my child is part of the 20% and both academically and socially they are not getting their needs met, what is the impetus to stay? What happens then? If a student who is part of the 20% leaves, that school that was made up of 80% kids in poverty becomes a school that is 90% kids in poverty. Over time schools become less and less diverse and more and more segregated. People wonder why charter schools hold such an appeal to minority families. It really isn’t hard to figure out. Parents of minority students have experience the same feeling I have, and charter school present an opportunity to create your own community while addressing academic concerns. I don’t agree with it, but I certainly get it. Let’s flip back to Eakin for a second though.Here you have a school that is diverse in many different ways and by all accounts is delivering an equitable educational experience to all its families. Attend any school function and the diversity becomes evident. I would argue that West End Middle School and JT Moore carry the experience forward by citing the data showing that non-zoned students who choose Eakin continue on through to the Hillsboro at a higher rate than those zoned for those schools. I would argue that if we were truly interested in promoting equity and diversity, we would study what these schools are doing and how to replicate it district wide. How can we attract children from all backgrounds and provide an environment where they all benefit together, not just academically, but through rich life experiences. Instead the district quibbles over test scores and laments that Eakin students aren’t growing fast enough. Ok, but despite these claims, I’m hard pressed to find a Eakin parent that is shopping for a new school for their child and if a family does leave, there is another ready to take their place. I’m not a parent of an Eakin student, so I can’t speak for them, but if I was, you can bet that the preservation of culture would be a lot higher on my list. As a public school parent I would like to see more of our schools mirror the diversity of Eakin. Eakins is not the only school in the district that serves as diverse a population, but merely an example of what we might want to look at. Right now you wouldn’t be remiss in thinking, “So what’s the point of all this rambling?” Admittedly, I’m kind of asking myself the same question. I think the point is that if are going to truly have a conversation on equity and diversity it has to go deeper and realize that equity belongs to all, not just the select. We have to be ready to face the fact that our actions will produce unintended consequences as well as the intended and we must be ready to adjust if necessary. Creating equity isn’t just about shifting resources, it is also about shifting attitudes and recognizing that there is no sub-group without needs and that all means ALL. 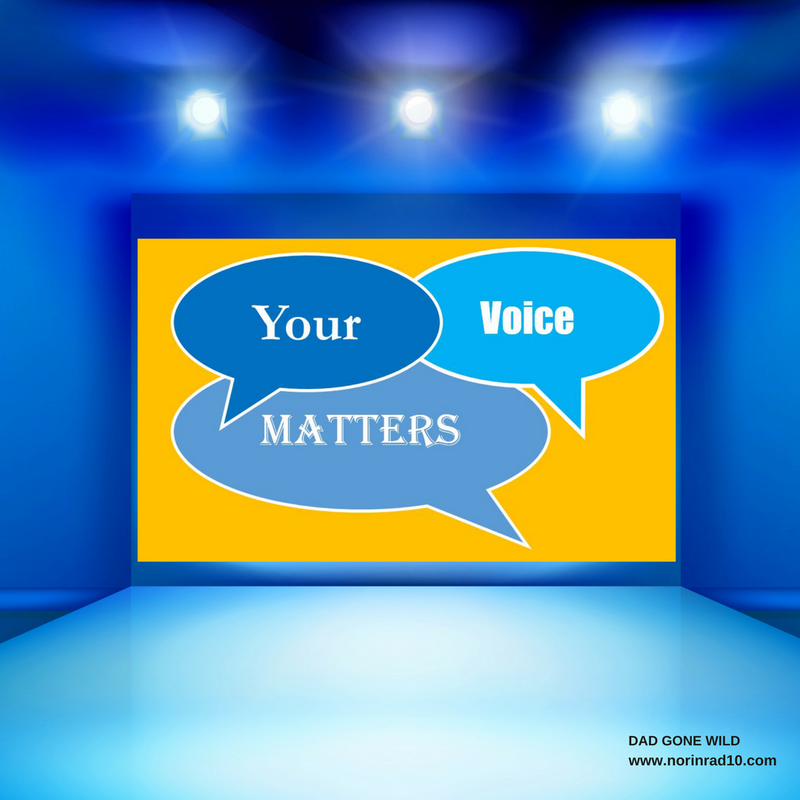 We must also recognize that our experiences, are not necessarily universal experiences. It’s a conversation that can’t happen if we don’t fully define our terms and too important not to. It’s a conversation that the executive director of equity and diversity would be leading if we actually attached importance to it and they were actually earning their $155k a year salary. There is a provision in Tennessee’s open record laws that allows for government entities to charge for open record requests that require extraneous work or volumes of copies. This provision is put in place to prevent people from making frivolous requests whose only intent is to tie up the communications department. Over the years I’ve put in various requests. A copy of the report on lead in school drinking water. Evaluations of district leadership by the superintendent. Copies of various contracts with independent vendors doing business with the district. Copies of notes from the hiring panel for community superintendents and principals. Needless to say, many of these requests have produced information that the district would have preferred remained unknown. The recent state laws requiring schools to test drinking water for lead and parents to be notified if levels are high, is rooted in an open records request. Open record requests have brought to light the districts failure to follow its own protocols in financial areas as well as questionable discipline practices. Last week MNPS, who touts itself on its transparency, decided that despite having an employee making just shy of $50k a year, solely dedicated to open record requests, they needed to start charging individuals for those requests. Anything that supposedly takes over an hour will incur a fee. My first request, asking for expense account receipts since January 1 for MNPS Chiefs has a bill of $35.73 attached to it. I made this request in light of the recent budget freeze and after hearing stories that not everyone was curtailing their spending. MNPS is not the first organization to think of this strategy. In my experience as an activist, I’ve run up against it a couple of times and it never works out well for those that chose to employ it. It’s simple, if you want to curtail open record requests, be transparent. Just saying you are transparent is not enough, you have to actually be transparent. I shouldn’t be surprised that the MNPS communication department has elected to go this route as it’s consistent with Public Information Officer Michelle Michaud’s strategy of confrontation. One that she’s employed across the board since arriving last September. In her short tenure Michaud has sought to control communication through intimidation with local media, teachers, parents and even internally with MNPS administrators. I’m not at all surprised that she would attempt to raise the barriers to information to the public. I’m a bit surprised that she would employ this strategy in the midst of an ongoing Metro Nashville Government audit. Hopefully she has familiarized herself with all fiscal requirements that go with collecting money from the public and all aspects of the open records laws including the exemption policies that should apply to those not for profit folks seeking access to information.. Currently I’ve got a request in for all emails between MNPS Leadership, former Knoxville Superintendent Jim McIntyre, and Nashville Public Education Foundation’s director Shannon Hunt. In case you didn’t know, despite not being a district employee, nor having a contract with MNPS, McIntyre has been sitting in on Executive Leadership Team meetings. In light of recent events with Dr. Joseph’s friend Dallas Dance, I feel it’s probably good practice to monitor district interaction with ex-superintendents. I’m betting this request cost me a couple hundred dollars. State Representative Sabi Kumar has some interesting advice for parents concerned about this years testing issues, stop whining! Hmmm….compare the list of concerns from Prince George County Schools to the list of concerns emerging at MNPS and you might find some similarities. Teacher walkouts across the country continue to grow. There is a reason and it’s not fat pay checks. 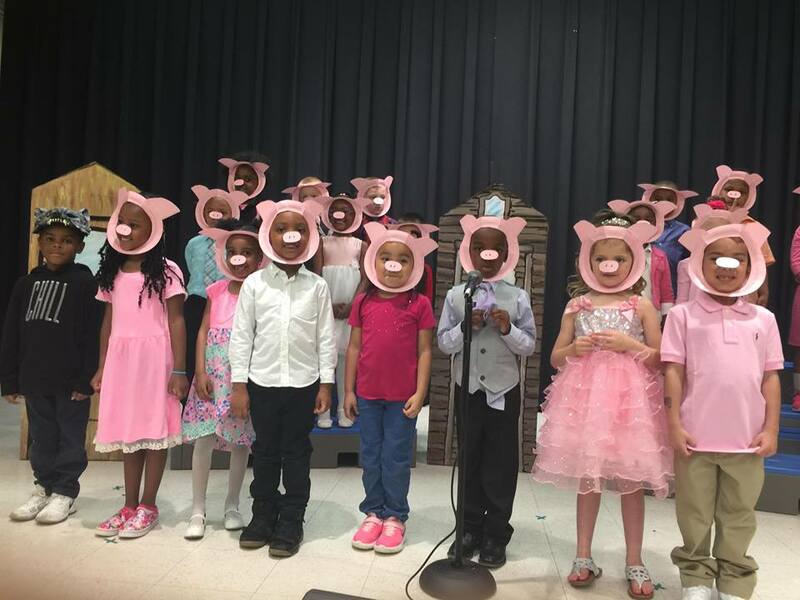 Tom Joy Elementary School kid’s knocked them dead with this year performance of the musical 3 Little Pigs. It may not win a Tony but it won a lot of hearts. Don’t miss Overton HS’s Bobcat Players special “This is Home” piece for NBC tomorrow morning at 6 am! Alison McDowell is a Philadelphia public school parent and a member of the Alliance for Philadelphia Public Schools. This article is an expansion of her testimony to the Philadelphia School Reform Commission on November 19, 2015. While it speaks to developments in Philadelphia, the discussion of “community schools” has national implications. I encourage you to click on link and read. I’ve learned that designing engaging poll questions is not as easy as it may appear. This week’s questions received fewer than normal responses. Still the ones I got are interesting. Praying he gets it and takes Dr J & crew w/ him! I hope he gets It and takes some of his friends south with him. He’s not qualified. Hope Duval sees that. Why are you so concerned?!? Better them than us. Who else from Maryland will he bring down next? He lies to principals all the time….no trust. They need to do EXIT interviews for all employees! I think you should have reported on last Superintendent racial bias too! The last question asked for what song best summarized this years budget season. The winner was “Take the Money and Run”. Followed closely by “Bad Blood.” Here are the writer ins. The tensions might be worse when eventually A-F goes into true effect, but they might also be much less than you describe. As an example imagine a school like TES where the supersubgroup is about like the whole school. Under ESSA the gap is then irrelevant to the A-F grading because the formula will not be greatly affected. As long as the broad middle grows some the school can probably get a C.
Then take a school that has a vulnerable but very small supersubgroup. That supersubgroup is worth 40% for the ESSA grade. You might have an A for the broad middle and a D for the supersubgroup. Your A will be sunk to a B or even a C. You’re going to be pressed to put resources into the supersubgroup. In practicality I don’t think anyone actually looks to make the top students’ growth look smaller just to make the lowest students’ growth look better. That would be dumb under the ESSA formula anyway. So while “gap” isn’t tracked in ESSA, you can have far less than 40% of the students swing the school grade. But none of that matters for a school whose results and demographics for the supersubgroup are similar to the school at large.